Reliable and truly affordable cloud storage is a hard combination to find. Zoolz Cloud Storage will ensure that you have a place to safely store your valuable files. 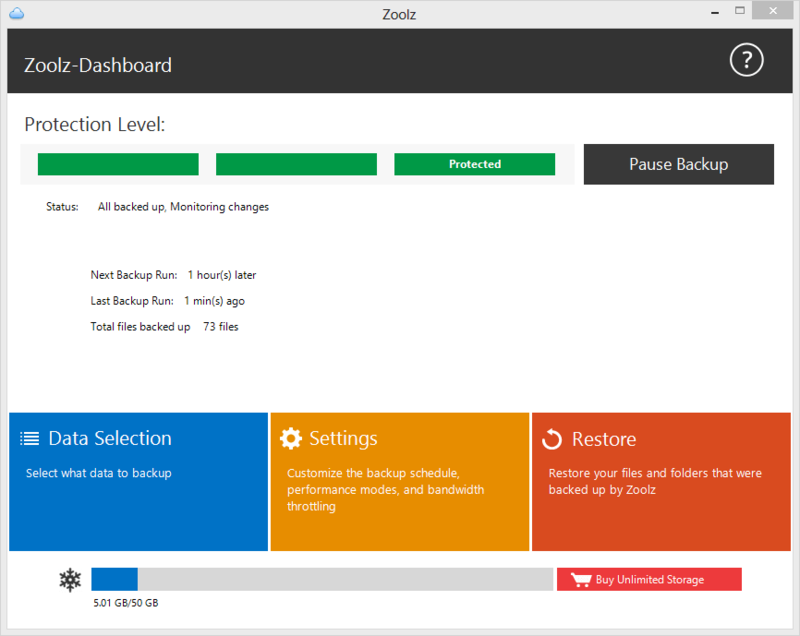 Offering 2TB of data backup for life (a single payment and you're done), Zoolz is an affordable cloud storage provider named the #1 Business cloud storage service by TopTenReviews. With the 2TB lifetime plan you get 1TB of "instant" cloud storage and 1TB of "cold" storage (based on Amazon Glacier). Zoolz lets you archive mounds of important files and media for a fraction of the cost. Use the instant storage for files that you need to secure but routinely access. Meanwhile, cold storage is better suited for those documents you don't plan on accessing for a while. But, if you do need to reach them, you can retrieve files tucked away in cold storage in 3-5 hours. Zoolz also includes a host of intuitive features, like thumbnail previews, bandwidth throttling and icon overlay, and you can rapidly sort through and select files you'd like to store with its Smart Selection Tool. Safer and more efficient than storing on a physical hard drive, get awarding-winning cloud storage today for just $44.95. That's 98% off the original price.